5% for wet-cleaning (most for clothes driers). Like I said, it’s not easy to heat your house without any external energy source. Even one of the most energy-efficient buildings, the passive houses, require a heat source. A very small one, to heat a large passive house (200 square meters, 2,150 sq ft) a power of 2,000 watts is enough — and this is the power of a hairdrier. While passive houses rely mostly on capturing solar heat and storing it in large amounts of concrete, they still need some extra energy source. And for most climates it may not be possible to supply that energy in form of electrical power from wind turbines or photovoltaics. The list above seems somewhat incomplete — I’m not sure where is the energy required for cooking meals? This one is also not easy to produce, as electric stoves use a lot of power and propane is not a long term off-grid solution. So how to produce this additional energy for heating, cooking and for domestic hot water? In my opinion one would have to use some biomass-based solution. Like coppice willow. 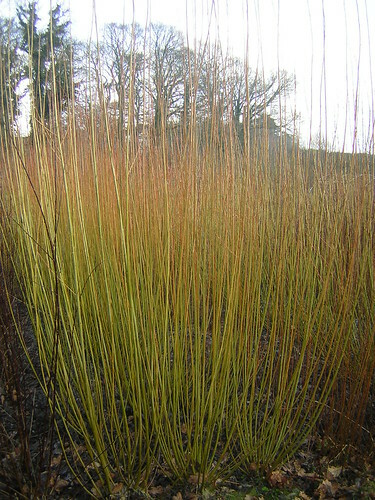 Coppice willow is easy to grow, but you need additional piece of land. Even a green roof of your house will probably be too small to produce enough of this fuel. Other solutions include biogas or wood gas, but to produce those gases you still need some biomass feedstock.